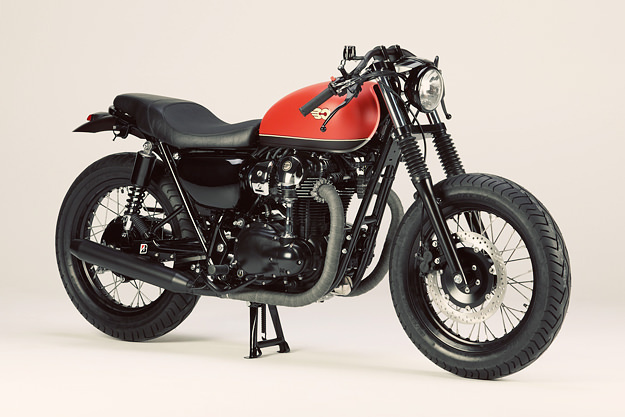 This Kawasaki W800 custom is the most “British” looking build I’ve seen for a while. So it’s ironic that it was built by a German company. 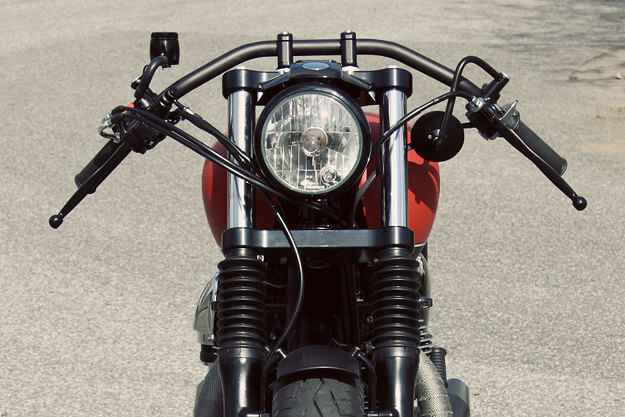 It’s called the “Lindy Bob” and it comes from LSL Motorradtechnik of Krefeld. In stock form, the W800 is a tribute to 1960s British iron but LSL has repositioned the bike in the 1930s. Check out those boardtracker-style drop bars, the small black headlight, and the 18” spoked wheels with black anodized aluminum rims. 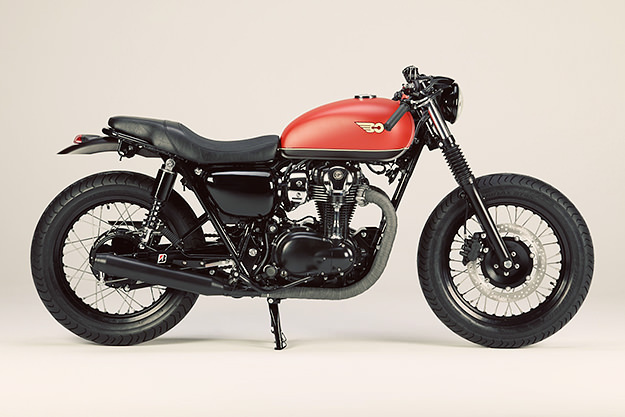 The stock Kawasaki W800 is a well-balanced all-rounder, so LSL has left the core of the bike alone. But they’ve upgraded the triple trees and front brakes, and fitted braided hose. They’ve also put the rear of the bike on a diet with a slimmer seat, old-style shocks and a shorter fender. A matt red tank and black Krümmerband (heat wrap) completes the look. 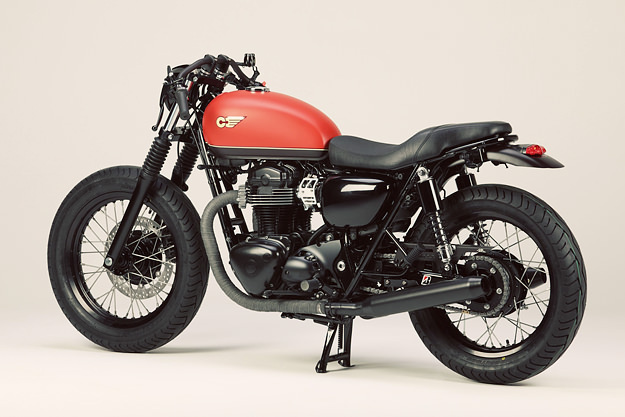 Head over to LSL’s Clubman site for more retro-themed builds, and check out our feature on the custom Triumph Scrambler they helped to build for the Tridays show.